The overnight camp experience at Yavneh provides campers with independence and support to explore and learn.In addition to creating lifelong friends and engaging in spiritual growth, campers are given the opportunity to try new activities and build on already acquired skills. Check out below what makes Yavneh an amazing summer home for over 600 campers. Other activities are rotated in on a summer by summer basis. Camp also offers Sadnaot for older campers in Session Two that allow campers to participate in more activities, whereby we bring in specialists of activities that we don’t offer on a daily basis at camp. Sadnaot can include but are not limited to: drumming, dance, water skiing, golf, baking, field hockey, learning to play an instrument. Shabbat at Yavneh is a special time. It begins late Friday afternoon when the entire camp prepares for Shabbat by showering and putting on their best clothes. Everyone comes together for ReliSh – a celebration of music and camaraderie that prepares our minds and souls for Shabbat. Kabbalat Shabbat is in our beautiful outdoor Gilboa bring the entire camp together in song and prayer with a spirit that many of our campers experience only in this special place. After a hearty Shabbat dinner, we come together for zemirot, the moving and lively Shabbat tunes that link us generation to generation. Click here to listen to some of our Shabbat songs. Shabbat is a favorite day at camp Yavneh. Shabbat day is a relaxing way to catch up with friends, read, play and just enjoy being at camp with a less structured daily schedule. Morning tefillot are geared to different ages and include both egalitarian and mechitza minyan options. As Shabbat comes to a close and the sun dips below the tree line, we gather together in another great outdoor space to engage with our counselors and teachers in spirited presentations about camp, Israel, leadership and many other topics. We eat and enjoy a final, joyful Shabbat meal, and then move to a meaningful Havdallah celebration and spirited and freilich Israeli dancing. Campers look forward to a weekly Achla Yom. Achla Yom includes special trips to a variety of locations including beaches, state parks and mountains in New Hampshire or Maine. Once a summer, some of the campers go to Water Country in Portsmouth. As campers get older, we leave camp for longer excursions including multi-day trips. Some of the traditions are: Loon Mountain (Arayot); The Highland Center at Crawford Notch (Leviim); Acadia National Park in Maine (Maalot); and white water rafting on the Kennebunk river in Maine (Kerem). Other Achla Yom activities that we have done in the past include bowling, visiting a nursing home, an evening swim at the brand new UNH pool. Every summer, we try to offer a variety of opportunities for all of our campers. You can keep updated about where we are going in the weekly Eshkolit. Yavneh’s music festival/competition is the pinnacle experience of 1st session. Unlike any other Zimriyah you have ever experienced, aydot compete against each other in different song categories including Shir Yisraeli, Shir Chasidi and Shir Ayda. The best word to describe Zimriyah is shtick – from the Kerem costumes, to the intense hand movements, to showcasing a camper’s hidden musical talent – it is all there. Replete with “celebrity” judges, a packed Beit Am of alumni, and live streaming into parents’ homes, there is no other night like Zimriyah! Formally known as the Kerem play, our campers entering 10th grade put on a production once a summer – could be a musical, a series of one acts or a revue. 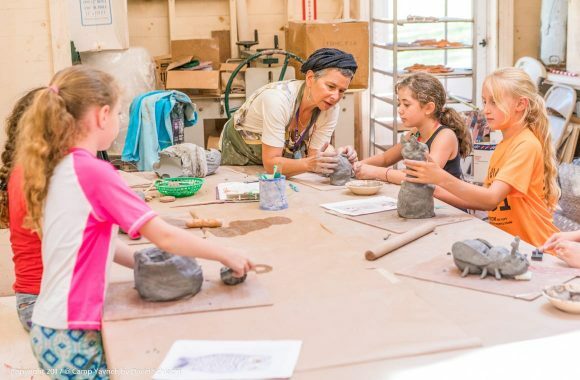 They work with one of our artists in residence to come up with a meaningful production that is memorable for both them and the entire camp community. Our mishlachat spend a lot of time planning two spectacular days where our campers get to walk around a shuk, learn about culture, both modern and traditional, and interact with and explore the different cultures that make up the diverse fabric of the Jewish homeland. 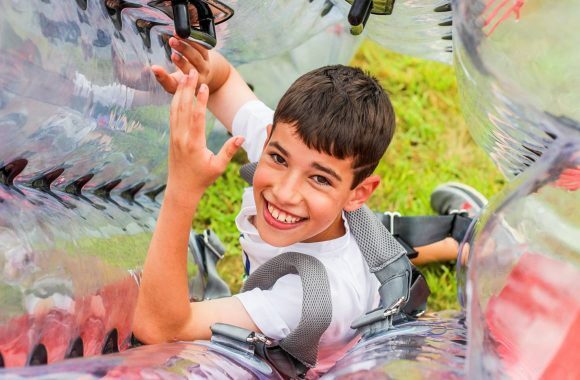 In addition, during Yom Israel Gadol, normal camp activities give way to all-day Israel programming culminating in a tekes in the evening where every camper is somehow involved. Gadol and Katan happen during different sessions each year. Yavneh’s dance festival is always during 2nd month. 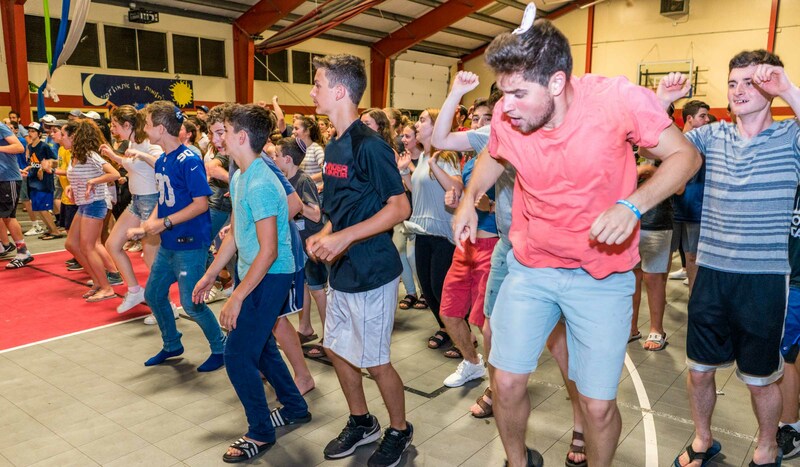 Since Israeli dancing is a big thing at Yavneh, every camper participates in Rikudiyah. There is a mixture of new and old dances and many of them have creative spins on them. The evening usually ends with our lead dance instructor leading the entire camp in a raucous Israeli dance session. 2nd session Color War! Veteran campers wait for their Kerem year to lead the whole camp, split into two teams in intense competition of all kinds. Campers have opportunities to participate in sports and arts competitions, relay races, and full-team activities, including who can be the quietest during a meal (you can hear a pin drop!) and our unique chidon quiz night. Coming together on the last night through special performances and the awesome and artistic shelet reveals, we end with hyped-up team songs, announce the winner, and celebrate with Yachas Tov . For one day every summer, camp transforms into quite a scene. Big trucks deposit loads of rides and the fields become a midway. Our Kerem campers help organize campers, coordinate other fun games, hand out treats (cotton candy or caramel apples), and bring on the Yavneh ruach for which Kerem truly shines! A full day dedicated to ridiculous revelry, outdoor and water fun, and a true building of camp kehillah! This is a Yavneh-style old school lip sync contest. Bunks compete for the glory of saying you won KTV. There’s a lot of shtick and a lot of fun. During a lunch a few days prior to KTV, Kerem picks a theme for each ayda that they have to focus on. Could be Broadway hits or grunge rock, you better hope your rosh knows how to be lucky. Every night at Yavneh brings something fun and different for our campers. Planned by either tochnit staff, roshei aydot or madrichim, our evening programming is varied and creative. Sometimes you participate as a bunk (l’fi tzrif), as a unit (l’fi ayda), as upper or lower camp, or the entire camp comes together! We get creative when it comes to peulot erev – it could be a big bar mitzvah party, a giant game of capture the flag, or a murder-mystery evening – you won’t be bored! This happens on the last night of camp. The madrichim become the meltzers, the food is even better than the rest of the summer and Estelle turns the Chaddar Ochel into a magical space. We celebrate the best summer of our lives and say thanks to so many who do so much to make Yavneh the best camp. Thank you, so much… The things I learned and the experiences I had defined my life. It was at Yavneh that Judaism became an interest to me, and since then that interest has grown into a substantial sense of Jewish people-hood, a powerful commitment to Zionism, and a focus on tikkun olam. I don’t know where I would be if not for Yavneh, so thank you.